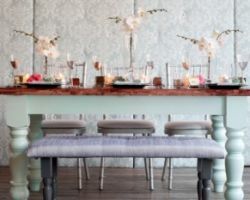 Rather than taking on the wedding yourself, the first thing you should do is find the best wedding planner in the area to ensure your event is stress-free and unforgettable. Blissful Events will help you with everything from designing the event to choosing the right vendors and running the show on the big day. They can make your traditional wedding and exciting party dreams come to life with their creativity and professional execution. From beginning to end, this team will make your event effortless and beautiful. 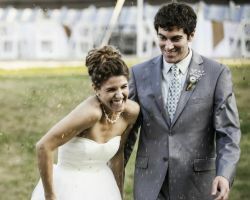 Amanda Felsman is the owner and event mastermind at Tailored Engagements. By focusing on the details, Amanda and her team are able to personalize weddings and events without compromising quality or tradition. 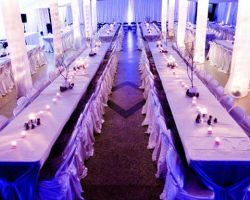 This company takes great pride in being able to create custom events for their clients that will be memorable for all. You will truly feel like you have a friend in the planning process when you have Amanda and her team to help you complete your checklist, stay on budget and create a stunning event. Some brides have been planning their wedding since they were little girls and others don’t begin thinking about it until they are engaged. 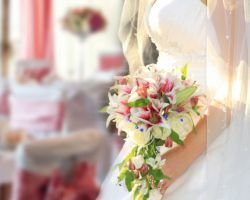 Whether you need a little assistance making your dream wedding a reality or would like someone to plan a beautiful event, Midwestern Bride can do it all. This company and the certified team offer a variety of packages that will suit the needs of any couple in any stage of planning. Whatever package you choose, you will certainly feel like a celebrity with these experts on your side. As soon as you get engaged, there will be a million things for you to think about. You will need to choose a date, a venue, and theme for starters and there are small details throughout that should not be forgotten. That is where Everlasting Bouquets comes in. This wedding planner service, which is also a florist, knows how to pull off an incredible and beautiful event without fail. For one of the most comprehensive planning companies in Wisconsin, choosing this company is a must. 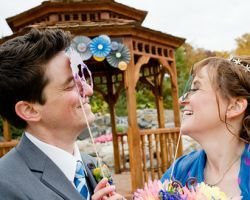 Sash and Bow is a full service wedding planning and design company for local and destination weddings alike. The planning and production of your wedding day are a big deal and should be left in the capable hands of a consultant with years of experienced like the ones at this company. You are unique and your event should be personalized to your style and likes, which is exactly the kind of planning this company offers. 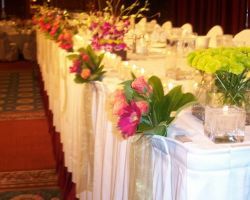 Enjoy your wedding while the professionals take care of the details. 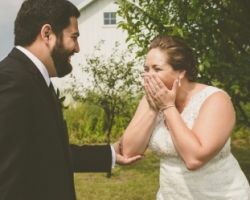 Your Milwaukee wedding planner should be everything you need for your big day, which is exactly what Top Shelf Weddings & Events offers to their customers. They will be your partner and organizer during the planning process, the coordinator on the big day and your friend throughout the entire thing. The creativity and customer care offered by this company is unheard of in the industry. They truly have mastered their craft and have exceeded the expectations of all of their clients. This company is made up of a team that will do any and everything to please their customers. Whether you have an idea of what you would like for your event design or would like to give the creative team free reign, this company can make it happen with little to no stress on you.